Matthew Austin is the Knowledge Management Officer at the Community Foundation. In this role, he conducts research and analyzes data on community issues. This informs the work of the Foundation and enables the Board to monitor its four strategic goals of advancing education, racial/ethnic equity, the environment and arts and architecture. 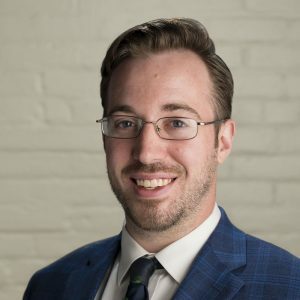 Prior to joining the Community Foundation, Matthew served as a Research Assistant at the University at Buffalo Regional Institute, where he worked on One Region Forward, a sustainability plan for the Buffalo Niagara Region. Previously, he coordinated a university-assisted community school program at P.S. 37 Marva J. Daniels Futures Preparatory School and served as an Urban Fellow at the City of Buffalo’s Division of Citizen Services, where he helped the Mayor’s Office draft an Open Data Policy. Matthew received his B.S. in Business Economics and Accounting from the State University of New York at Oneonta and a Masters in Urban Planning from the State University of New York at Buffalo. He currently serves on the Board of Directors for Groundwork Buffalo and Pomost International.